When you purchase this pre-owned vehicle at Delray Buick GMC, you can feel confident in knowing that you’re the proud, new owner of a quality vehicle. Other dealerships may promise that their vehicles are solid, in great shape and without problems, but our dealership warrants the condition of this vehicle with a “Certified Protection” warranty. Vehicles with a Certified Protection warranty have passed a 11O-point inspection process that covers nearly every mechanical aspect of this vehicle. The warranty ensures that if any covered part fails during the warranty period, we will pay to repair or replace the covered part. There are no costly parts or labor charges to pay and no headaches. You simply pay a small deductible, and you’re on your way. In addition, the “Certified Protection” warranty includes rental reimbursement, trip interruption and emergency roadside assistance. You may want to consider additional protection to cover your vehicle after the “Certified Protection” warranty has expired. A Zurich vehicle service contract is a smart way to protect yourself from the increasingly high cost of vehicle repairs. Like the Certified Protection warranty, a Zurich vehicle service contract covers parts and labor costs to repair or replace major component groups. Plus, you continue to get the value-added benefits of rental reimbursement, trip interruption and emergency roadside assistance. With a vehicle service contract, you can add protection to additional vehicle systems and extend your coverage for a longer period of time. A vehicle service contract adds only a minimal amount to your monthly vehicle payment, or you may want to take advantage of our interest-free payment plan. Either way, you’ll eliminate costly repair bills later on. A vehicle service contract can keep your costs down and keep your vehicle running down the road. You’ve made a great decision. As you drive home in your new car, you can feel proud and confident with your choice. 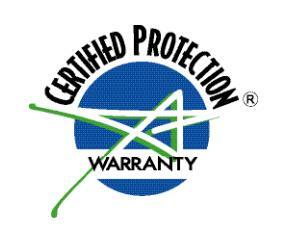 After all, your vehicle is covered by a “Certified Protection” warranty. Includes the benefits of rental reimbursement, trip interruption and emergency roadside assistance. In addition, Powertrain provides coverage for the following component parts. Diesel engine: all of the above parts, plus diesel fuel injection pump, fuel injectors, fuel lines. *Seals and gaskets coverage does not apply if your vehicle’s odometer reading is greater than 100,000 miles on the contract date of sale. ~Vehicle must be 15 years or newer or have less than 150,000 miles or less to qualify for “Certified Protection” Warranty.